Mississauga Web Design | Web Design | SEO: Why would you Outsource SEO? Why would you Outsource SEO? Every business of today knows how important Internet is as a gateway to play the international arena. Almost all industry sectors has their own website, because having a website means your business or company will have an edge over your competitor. Though lately, having a website alone is not enough to leverage yourself with your competitor, the crucial step is to appear on Search Engine Result Page (SeRP) and that is what Search Engine Optimization (SEO) is all about. It’s all about optimizing your website to appear on SeRP. It may sound simple but it’s very time consuming and requires timely knowledge of SEO guidelines as this change frequently. So why would you outsource when it can be done in-house? SEO is really a delicate part of the business strategy since it could potentially damage a company’s’ reputation. But, having an effective SEO could bring your business to the next level – higher traffic, higher conversion and a strong web presence. 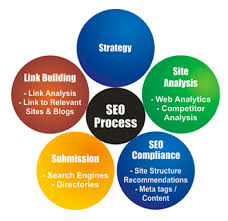 It has been a necessity for companies to incorporate SEO into their marketing plan. Others do it in-house thinking it would be cheaper but SEO is a continuous process of learning. Think about knowledge vs. time, SEO requires someone knowledgeable and could adapt to ever changing rules of Search Engines, it requires time to learn all this processes. Think of what could be lost during this time of learning everything about SEO when you can focus on the core of your business. In fact, in-house staff could probably be just engaged or more focus on implementing SEO strategies but totally lost on what’s going on outside - are they still focusing on the right direction? Possibly it works with other companies, but are they really getting the likelihood of dominating major Search Engines or getting the highest traffic with highest conversion rate possible. Outsourcing SEO could be risky perhaps, but is your company’s growth not worth investing?. Company should focus on its core competence and leave SEO to the experts. It could be successful if it’s taken care of and could be cost-effective in the end. You do not have to worry about implementing SEO strategies or worry about implementing new guidelines, SEO Service Company could provide all options available to utilize and optimize your website. Why would you outsource SEO would really depend on what make sense to you. Both involve risk, but before you decide ask yourself, is it not worth to invest on company’s growth? There are several link building packages out in the internet so the choose the most suitable for you. Everything in the SEO world is dynamic, methods might work today but we can never vouch its effectiveness on the next day. You need to hire a good company that offers and has vast knowledge of SEO/SEM.